A meetup with the Vancouver Urban Sketchers at Third Beach in Stanley Park. About 20 sketchers came, a great turnout. The weather played along too. It’s been an amazing summer so far. I am starting to take the sunshine for granted and keep planning outdoor activities days ahead. There are so many options for things to do with this weather. We also have a German teenage boy staying with us for a month right now who’s very athletic. I am his activity coordinator and entertainer right now. Also I am his personal chef and laundry-shrinker. My goal every day is to tire that kid out. But of course, fat chance against an almost-17-year-old. My work is happening in the cracks between activities. Luckily I don’t have too many client projects right now. For the sketches, I tried to not use any lines this time, watercolour was my approach for the day. 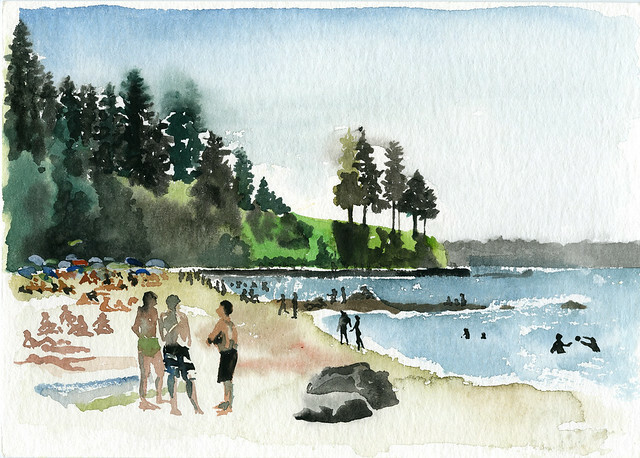 Some of the beached people on the far left look like they’ve been brutally slaughtered, thanks only to my painting. In truth, everyone had the relaxed Third Beach vibe that makes you feel far away from the city. 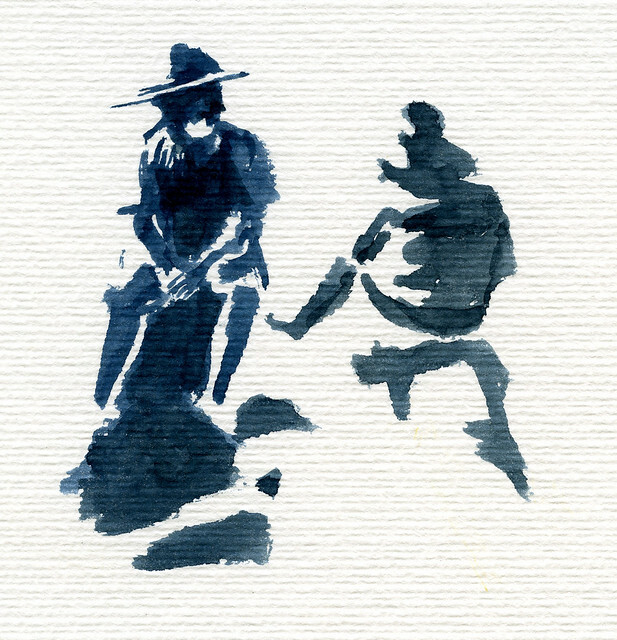 This couple was comfortably sitting on some rocks and engrossed in conversation for about an hour, allowing several other sketchers and me to capture them.